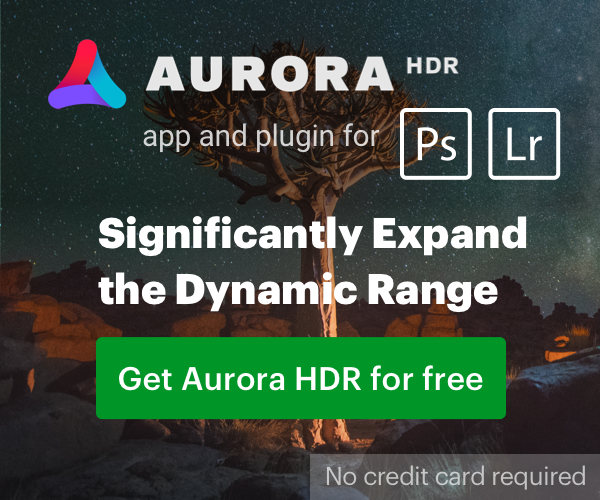 Skylum’s Software’s Aurora HDR 2019 is now available for purchase and download. Skylum’s Quantum HDR Engine harnesses the power of AI for a more streamlined editing experience than ever before. It reduces burned-out colors, loss of contrast, noise and unnatural lighting caused by halos and unstabledeghosting. Is anyone else totally burned out on the term "AI" in every piece of software? Sick of it or not, "AI" is a term with meaning, and Skylum is using it correctly here. I'd prefer "ML" as it is more descriptive ("Machine Learning" is a subset of the larger "Artificial Intelligence" field), but "AI" doesn't mean what Stephen Spielberg shows it as, and as a term of art has been around since at least the 1950s. Specific to Skylum's efforts, it appears they used a machine learning system to determine the best parameters for their HDR engine. Machine learning is not just a fancy name for something ordinary; that is really complex software and algorithms at play. That said, AI/ML systems are off-the-shelf components now; the bit that Skylum did was to think to apply that technology to HDR processing. And, of course, using ML to craft those parameters doesn't necessarily mean they did it perfectly well, or even better than someone who did not use ML. Eventually, we'll just assume that AI/ML went into the production of every major piece of software. It will be "table stakes" if you are putting out a new application in many spaces, and won't be a buzzword on the marketing sheet any more. But we're not there, because most people are not using AI/ML yet, and using it here isn't a completely obvious application of it. Think of it this way: through the 1990s all sorts of physical gadgets and doodads would proudly claim they were "CAD Engineered!" or similar. CAD doesn't mean they are necessarily better; it means the product designers gave their engineers some really useful toys to play with. Today you don't see mention of CAD. It is assumed that if there is a machined part, it was designed using CAD. Good HDR. Like Adobe but cheaper. Maybe better. Do trial to see. I’ve been using Luminar since October of 2018 and recently updated to Luminar 3 and started using Aurora HDR. All-in-all its a great software package that is worth the price!